A professional CV writing service to present you at your best. You are here: Home / The CV Branch services; professional CV writers creating a CV for you. The CV Branch services; professional CV writers creating a CV for you. One of our specialities is professional CV writing. We offer a unique, professional CV in the appropriate chronological format, composed in precise and simple English. A Curriculum Vitae written by the CV Branch will attract attention and be noticeable! At The CV Branch, we take the time and attention with each CV in order to assure the accuracy of language and the uniqueness of you, our client. A professionally written CV presents you at your best, therefore it serves as an invaluable asset in applying for positions. We offer our professional CV writing services throughout South Africa whether you reside in Johannesburg, Cape Town, Durban, Pretoria, Bloemfontein, Port Elizabeth, or in the smaller centra. We have also prepared CVs for clients in foreign countries. Your CV will be an example of professionalism. Although many people can write their own CVs, and do it well, others struggle with a variety of problems; such as incorrect English, not knowing how to structure a CV and not knowing how to best highlight their most relevant strengths. Our clients reap the rewards of the passion we have for languages. We inform the potential employer what you have to offer. Your CV is about your past, but your cover letter describes who and where you are now. 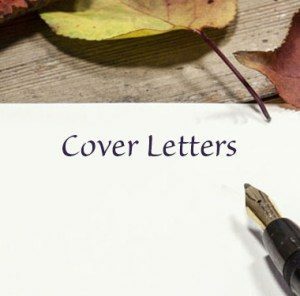 When you are applying for a specific position, a cover letter will improve your visibility as a potential employee. The letter highlights both your particular skills and the demands of the position; a perfect compliment to your CV and an element of your personal marketing. Once we have completed your detailed Curriculum Vitae, we can shorten it into a one to two-page résumé, should it be required by a prospective employer. In the résumé, we summarize your important skills and experience with very little personal information included. The difference between a CV and a résumé should be highlighted. A CV is a full-length document whilst a résumé is an abridged, short version. As with the professional CV writing service, we write résumés for clients ranging from entry level employment up to executive management, throughout South Africa. An abridged CV or résumé in Afrikaans can be accommodated. Once we have completed your CV, we can upload it to your LinkedIn profile. We will also fill in the little extras for you. LinkedIn is widely recognized as an important professional social media to have a presence on. The headline will be appropriate to your position; your personal brand created; and your achievements emphasized.